Explanation: Most of our universe is too dim to see. To peer into our cosmos' unknown depths, astronomers must deploy new tools - and the classic new tool is a larger telescope. 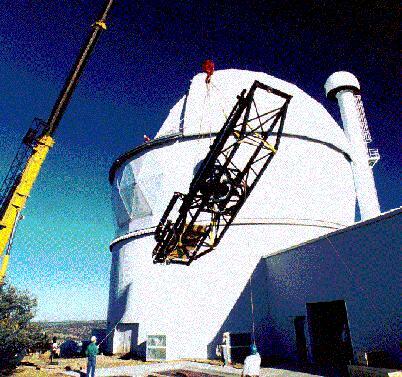 Pictured above is the new Hobby-Eberly Telescope (HET) which recently declared "first light" in western Texas. 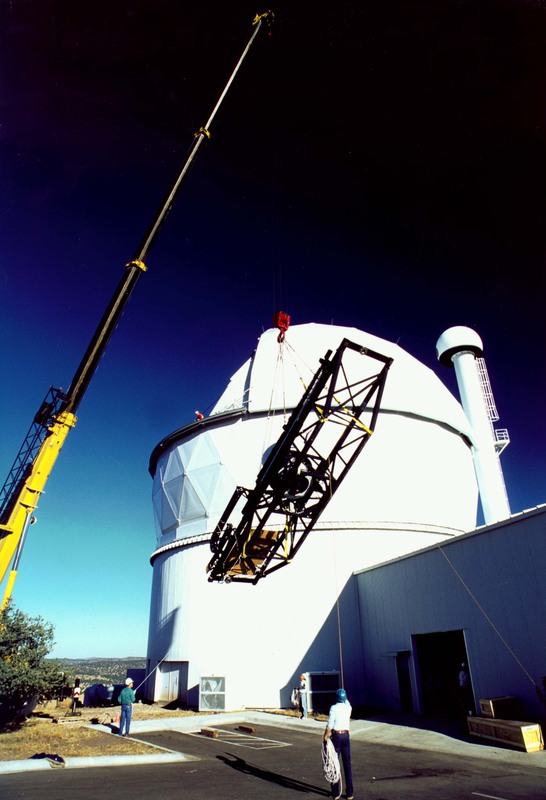 HET currently has the largest single mirror of any optical telescope -- 11 meters in diameter. Telescopes in space, like the Hubble Space Telescope, are much smaller but avoid the Earth's atmosphere blurring out fine detail. HET's huge size, on the other hand, allows it to see very dim objects and determine their spectrum. HET's unusual design allows the primary mirror to stay put during an observation! Only smaller focusing instruments suspending above the primary move to track an astronomical object.